Now Comes Pilipinas Men’s Fashion Week! Men’s Fashion Weeks around the globe are just wrapping up one successful collection after another – London, Milan and Paris – now comes Pilipinas Men’s Fashion Week, now on its fourth season showcasing Fall/Winter 2014 collections coming this July 12th to 13th at the heart of Manila. Alexander McQueen and Burberry Prorsum dominated London Collections: Men, people raved about Moncler Gamme Bleu show, Missoni and Boglioli collections last Milan SS15 Fashion Week, and I for one is going crazy about that eerie Julius SS15 show and that Balmain jacket from Paris Fashion Week. 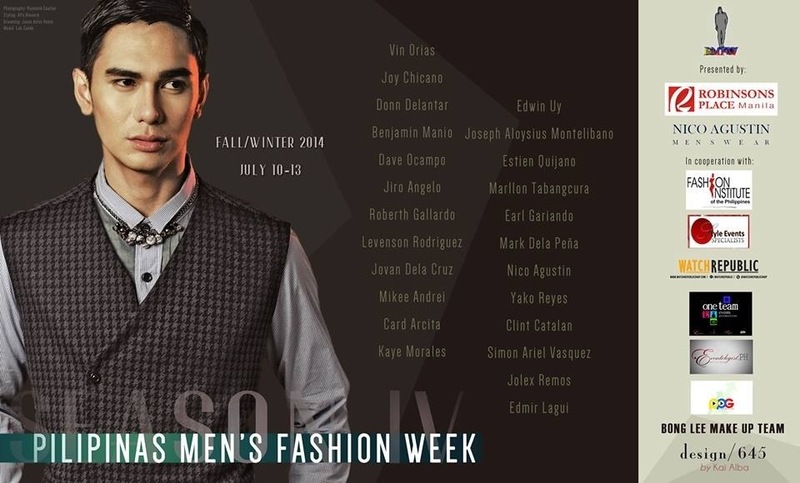 Philippine Men’s Fashion Week – 24 designers overall, whose collection will rule? We’ll find out soon!